The Tennessee Department of Human Services, Child Support Division (CSD) was one of seven states to receive a grant from the Federal Office of Child Support Enforcement (OCSE) in 2009 to conduct a project in support of the Prisoner Reentry Initiative (PRI), a collaborative effort by federal agencies to reduce recidivism by helping returning offenders find work and access other critical services in their communities. 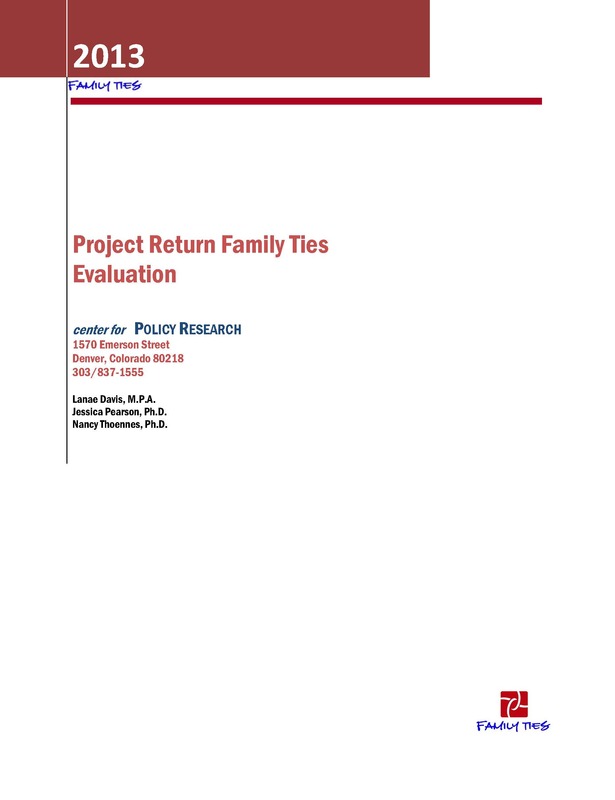 Tennessee CSD contracted with Project Return, Inc., a Nashville‐based nonprofit corporation (Davidson County), that specializes in prisoner reentry, to implement the project, which was named Family Ties. learned about at the orientation session), and 55 percent recruited among the ex‐offender population who appeared at Project Return for help with employment and other reentry issues.